The arrival of the F-35 has sparked the imagination of many young Australians seeking to step into the cockpit and take to the skies. For Wing Commander (AAFC) Paul Martin Hughes JP, the relationship between the RAAF and Australian Air Force Cadets (AAFC) is invaluable. The changing face and nature of air combat is challenging the way the RAAF recruits the next generation of Australian pilots. The AAFC provides an invaluable link to the Air Force and the broader ADF, instilling valuable life skills to develop qualities including leadership, self reliance, confidence, teamwork and communication. 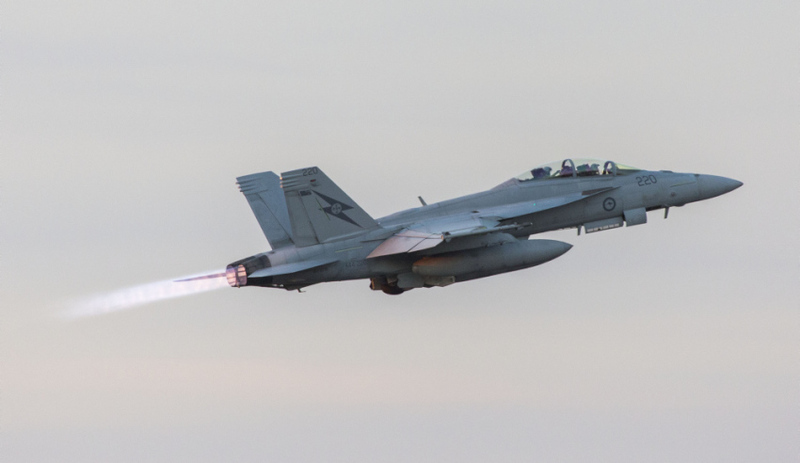 In this edition of On Point, Defence Connect will discuss the relationship between the RAAF, ADF and AAFC in developing the next-generation of Australia's top gun pilots, ground crews and military leaders for the 21st century with WGCDR (AAFC) Paul Martin Hughes JP. WGCDR (AAFC) Martin Hughes will also discuss the vital links established between the AAFC and Australia's growing defence and aerospace industries, and the symbiotic relationship developing among the contributing members. As an introduction, what is your role within the Air Force Cadets? What do you do and what are your responsibilities in shaping the future of Australia's military leaders? In essence, I'm one of eight officers commanding within the Australian Air Force Cadets looking after one of the eight wings right across Australia. Three wing is the largest of the eight wings and it has around about 32 per cent of the total population of the Australian Air Force Cadets. So it's a large geographic area and a large population to deal with around that. But really, my responsibility's about leadership development. It's about providing opportunities to our young cadets right across the board and providing them with that level of opportunity that allows them to think about future career aspirations as well. And probably, if anything, it's creating something in them that allows them to see themselves differently. So it's a bit like the opportunity that they thought they would've never had, and as a result it allows them to think about what they want to do in terms of career choices moving forward. The AAFC is sponsored by the Chief of Air Force, and then that cascades down through to the Director General Air Force Cadets, which is based at Cadet Branch Air Force. And then we have an Australian Air Force Cadet structure as well headed up by a Group Captain who is the national commander. As an organisation, the AAFC is heavily supported both in terms of manpower, Defence support, and that includes ability to go to Air Force bases and stay for a week and put on numerous camps, accommodation, transport. Why does the RAAF invest in the air cadets, and what is the purpose of this investment? I think primarily a couple of things. One is because they see the potential leadership development of these individuals. At the end of the day, the Australian Air Force Cadets is still a youth development organisation. It's not primarily a recruiting tool for Defence or Air Force, youth development's still the key part. But what Air Force see in that is the end product of that once they come out and leave air cadets, particularly around leadership, community engagement and understanding. As well as all the other skills that we provide them, and particular good strong awareness of what Defence does and the allied aviation industries. Does the cadet program support the transition to a career with Defence? How does time with the cadets support this transition? I'd say it's an advantage. I wouldn't necessarily say it's a big advantage, only in the sense of what they get from it is they get a really good appreciation and understanding of Defence, and particularly Air Force in this case. So they know really what they're going into potentially in terms of what their interest is. Certainly, from a leadership angle in terms of how. Because obviously as you develop kids' leadership, they mature and they mature quicker, so really what you're getting is a mature individual that's got leadership experience, developing and leading others. You've got also individuals as well that are much broader in terms of their scope of what they're capable of doing. So it isn't just about what they're doing in cadets. It's, what are they doing physically around sport? What are they doing in the community? What have their achievements been at school? So when you wrap it all together, then yes, they can become very valuable. I think the other as well is that, typically retention would be better as well once they do get into Defence, because they are familiar with some of the concepts of what Defence is about as well. You can listen to the full Defence Connect Podcast with WGCDR (AAFC) Paul Martin Hughes JP here.